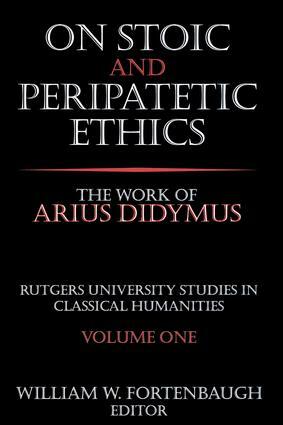 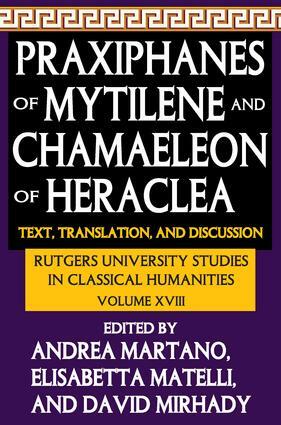 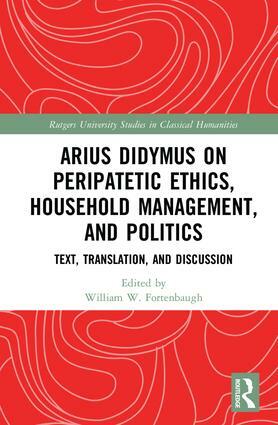 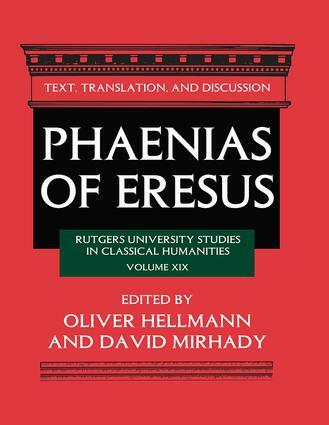 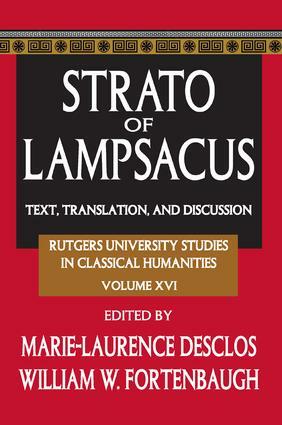 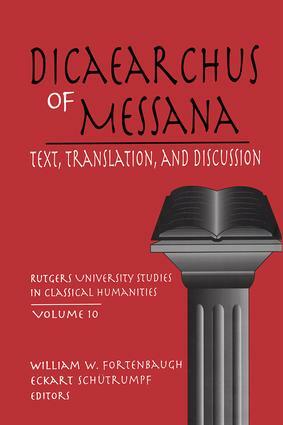 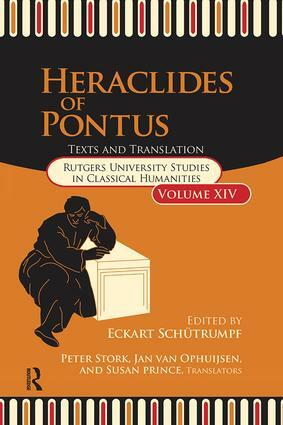 This series, often referred to by the acronym RUSCH, grew out of Project Theophrastus, an international undertaking, whose purpose has been to collect, edit and comment on the surviving works and fragments of Theophrastus of Eresus, Aristotle’s pupil and successor as head of the Peripatetic School. 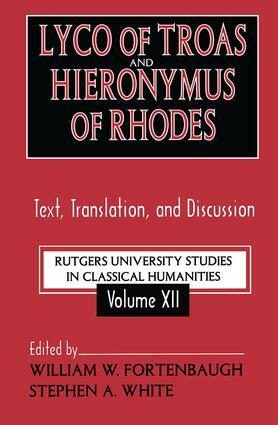 To foster this endeavor a series of conferences were established that focused on subjects relevant to Theophrastus. 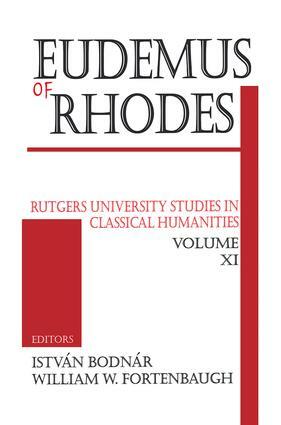 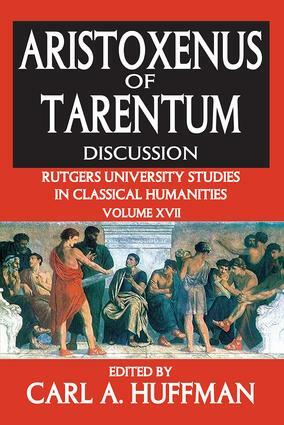 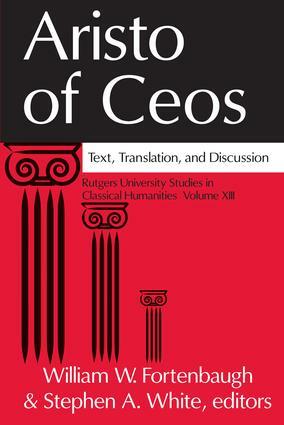 The proceedings of these conferences were deemed worthwhile in their own right and under the direction of Professor William Fortenbaugh were published as volumes of RUSCH. 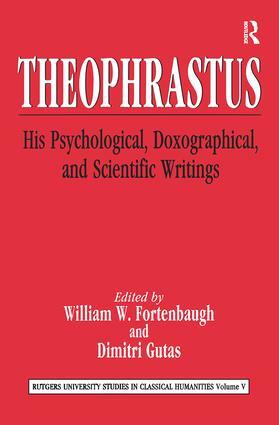 Initially the volumes were closely related to work on Theophrastus, but in time the focus widened to included Theophrastus’ colleagues and successors in the Peripatos. 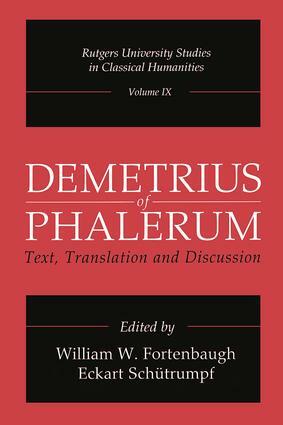 Currently the volumes collect and edit the relevant texts, offer an English translation, and provide discussion of important issues. 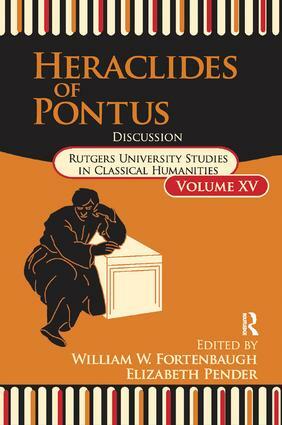 They contribute to our knowledge of philosophic developments within the Hellenistic Period, when the Academy and the Peripatos were challenged by the founding of new schools including the Stoics and the Epicureans.